Welcome to Centre Point, a status center run by Hyda since January 23, 2014. At Centre Point, its all about knowing which site has the open or closed sign! Centre Point will be updated daily to help you find those open slots. Leave the tedious searching to Centre Point! I hope you enjoy browsing through Centre Point. If you have any questions or suggestions, please drop me a Neomail! I will reply to you as soon as possible. Fill out the form and click on the envelope to Neomail it to me! *Only sites which has the open/closed signs will be listed. If your site category is not listed, please inform me so that I will include it. Centre Point will be on hiatus until the June holidays. School is too cool to be messing around with. Sorry for any inconvenience caused! Forms will still be accepted! Affiliated with Prismatic! Still seeking affiliates. Most sites are welcome to apply~ Why not check out my premade icon and glitter site, Sequin? UPDATE: Buttoneer has opened both button and layout requests! 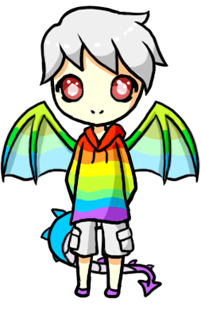 Create your own Chibi with Bisou's Chibi Maker! Centre Point will be updated daily around 1am NST. More frequent look-sees are conducted when I have time to do so. Each site that is listed will fall under the three bullets. Promising Site - means a new or budding site that has much potential but has yet to be shown. Recommended Site - means sites that have not been too long around but has already shone. Veteran Site - means that these sites have been created a few years back and has perfected the skills of their specific category (aka Most Recommended of them all). Are you a Veteran site? Please grab this super cute button with you! Affiliates - Open 9/18 - Apply? Credits & people to thank! + Layout/Coding by Nicole @ Whimsical. + Color Palettes by Skyblue2u and jen_savage from colour lovers. + Dividers, Neomail envelope, bullets and button placeholders from Details. + Counter base from Roo.